A stock rocket called comparator. Built with 85 of the finest parts, its root part is probeCoreOcto2. This is my take on a vanilla asparagus staged lifter. 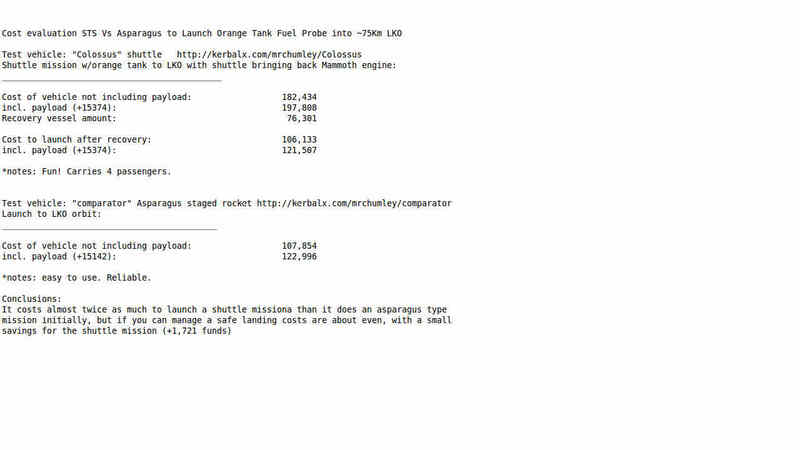 This was made in KSP 1.0.2 to compare costs of asparagus VS STS type launches of an orange tank into LKO. The payload is 1 full orange tank with probe and RCS.